There are ways to buy more storage for your iPhone without using iCloud (and adding to your monthly bills). In fact, you can buy extra memory for your iPhone or iPad for under $50! Buy More Storage for your iPhone for under $50! If you need more storage for your iPhone (but don’t want to pay for the iCloud each month) you can just buy an external storage drive for your iPhone or iPad. What is the SanDisk iXpand Drive? The SanDisk iXpand drive is basically a flash drive (USB stick, thumb drive, whatever you call it) that is compatible with both your iPhone and your computer. It’s an external storage drive for your iPhone (or iPad) that can be used to backup your phone, share files to and from your phone and store extra content so it doesn’t take up space on your phone. How Does the iXpand Drive Work? The iXpand drive is a flash drive that has a USB connection on one end. The other end of the drive has a connection that fits into the lightning charging port on your iPhone, iPad or iPod touch. With both connections the device can be put into an iPhone, items saved on it and then it can be put into the USB drive on your computer. The SanDisk iXpand drive is a perfect option to buy more storage for your iphone. There are different sized iXpand drives. Just like with other USB drives and with your iPhone, the ones with more GB will hold more pictures, videos, songs, etc and the ones with less GB will hold less. Right now with 32GB, 64GB, 128GB and 256GB version there are plenty options to buy more storage for your iphone. There are so many uses for this little gadget. So, even though you may have set out to buy more storage for your iphone you’ll find you can do a lot with this iPhone flash drive. Here we’ll list some of them with simple instructions on how to do each task. Note: If you’re just getting started with the drive you’ll want to jump to the section below: How to Setup the SanDisk iXpand Drive. SanDisk has provided us a way to buy more storage for your iPhone or iPad with this flash drive! Possibly the most helpful use of this external drive is to make room on your iPhone when you get the dreaded “storage is full” message. You now have the option to copy all pictures and videos to the flash drive or copy only selected photos. To make space on the iPhone we’re going to copy them all to the thumb drive. In the upper right corner tap select all. All the pictures and videos will show a blue check mark on them. Select the folder (on the drive) that you’d like to keep the pictures in. To create a new folder click create new folder and give it a name. I like to name my folders something like ‘All iPhone Pictures – date’. Having the date in the name helps me find pictures if I’m looking for them. After you’ve selected the folder you want to copy them to, click copy here. The pictures and videos will now be copied to the iXpand drive. When it’s done you’ll get a message saying the copying is finished and it will ask if you want to delete the picture from your phone. To make room on your iPhone click delete, then confirm it by clicking delete a second time and they will all be deleted from your phone. Also see our ultimate guide on how to free up space on an iPhone or iPad. Another great use for the iXpand drive is to store extra videos on it for watching during long car trips or flights. If you’ll be sitting in the car or an airplane for a long time it’s nice to have some movies or TV shows to watch on your iPad (or iPhone if you’re up for watching on that small screen). So, instead of watching movies online you could download YouTube videos or Amazon and Netflix now offer options to download some of their movies and shows for watching offline. But, if you don’t have much room on your iPhone or iPad, this may not be a good option either. That’s where the iXpand drive comes in. You can download movies and shows, save them on the flash drive, and watch them from the drive. Tap on the movie you want to watch and enjoy! Let’s say you want to have a backup of your pictures that are stored on your iPhone. I mean imagine you dropped your phone into a pool tomorrow and all your pictures on your phone were lost. How much would you lose? A lot of good memories, right? The iXpand drive and its app have the ability to automatically backup the pictures and videos from your iPhone’s camera roll. It will save a copy of these pictures in a folder called camera backup on the drive. Plug the iXpand into the iPhone. Click allow to open the iXpand app. Tap backup and restore photo library. Tap the toggle switch next to automatic backup so it’s green. The app will ask if it can access your photos, click allow. The photos will now be backed up to the drive. When the photos are all saved on the drive the app will ask if you want to delete them from the phone or keep them on the phone. You can choose whichever makes sense for you. Now, next time you inert the drive into your phone the app will know which pictures have already been backed up and which haven’t. It will then copy the new pictures over to the drive so it has a backup of everything. But, if you want to share a lot of pictures or videos it might be easier to use the iXpand drive to share them with someone else. You can copy pictures or videos from your iPhone onto the flash drive and then your friend can put the flash drive in their iPhone to save a copy of the pictures on their phone. Or, they could put the USB end of the drive into a computer to save the pictures onto their computer. All your photos will now be saved on your computer and they will be deleted from your iXpand drive so it has room for next time you want to copy your iPhone pictures to your computer! Setup for the SanDisk iXpand flash drive is easy. When you first plug in the flash drive your phone will prompt you to add the corresponding app. From there, the app walks you through most anything you want to do. If you want specific instructions for getting started, follow the steps below. 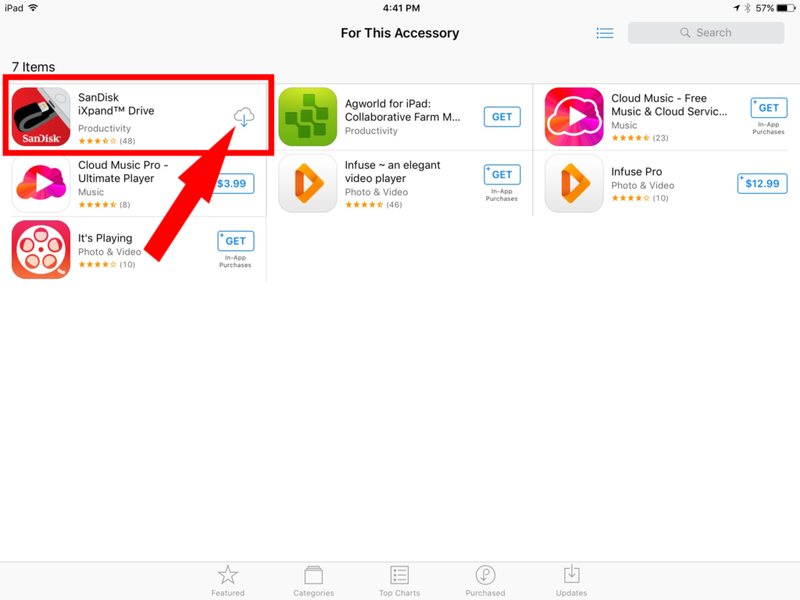 In the app store find the app that’s called SanDisk iXpand Drive. Click get and enter your app store password when asked. The app will now be installed on your phone. When the app has finished installing, click open. When the app opens you have the options to “take a tour” and it will walk you through the different features of the app (and the iXpand drive). If you want to, go ahead and take the tour. When you’re ready to setup your drive, click set up my iXpand drive. The app will walk you through different ways you can use the drive. 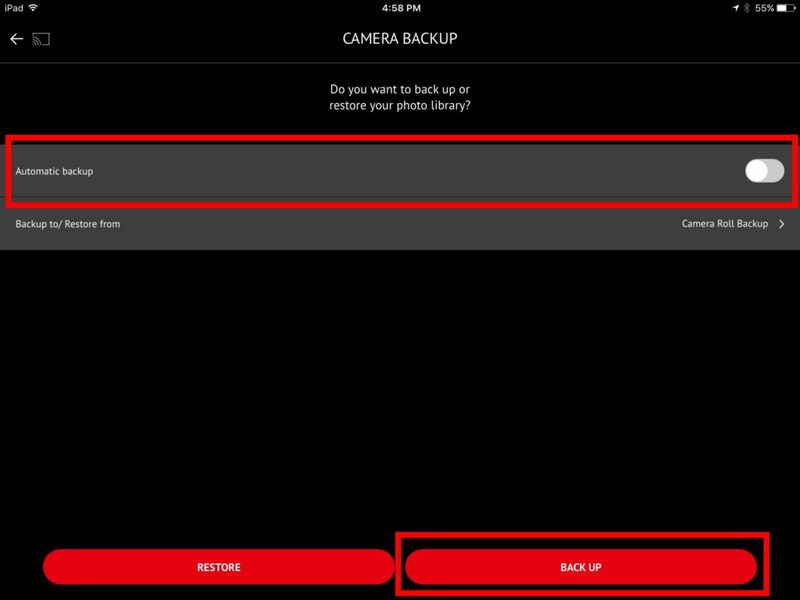 If you want to use any of the backup features follow the instructions on the app to set them up. Or, click skip for now to get to the main app homepage. You’ll then see some screens which show new features of the app (as they add them all the time). Click next and then click okay! I got it. You’ll now get to the app’s home screen and can use any of the instructions above to perform different tasks using your drive. If you’re looking to buy more storage for your iPhone or iPad the SanDisk iXpand drive is a perfect option. 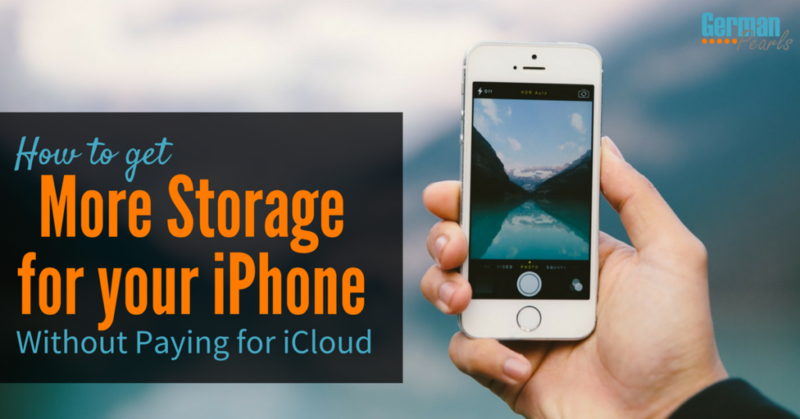 It allows you flexibility of have more space on your iPhone with no recurring costs (like the iCloud). Use the drive to backup your pictures or contacts on your iPhone, free up space on your iPhone, save extra movies and shows to watch on your iPad on a long car trip or flight, save extra music without taking up space on your phone, share content with others and more!